Canadian Daily Deals: Hudson's Bay Famous One Day Sales are Back! 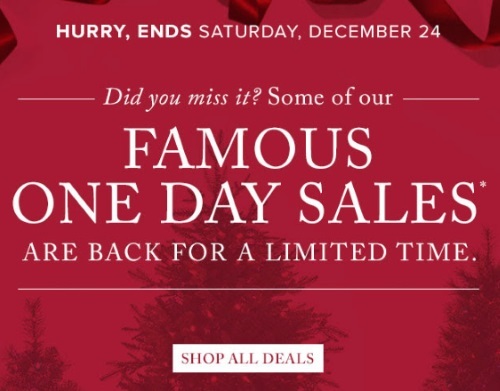 Hudson's Bay Famous One Day Sales are Back! Hudson's Bay has brought back some of their best-selling one-day deals for a limited time! Deals include items for Women, Men, Toys, Luggage, Home, Jewellery and more! Hurry these offers end Saturday, December 24, 2016.